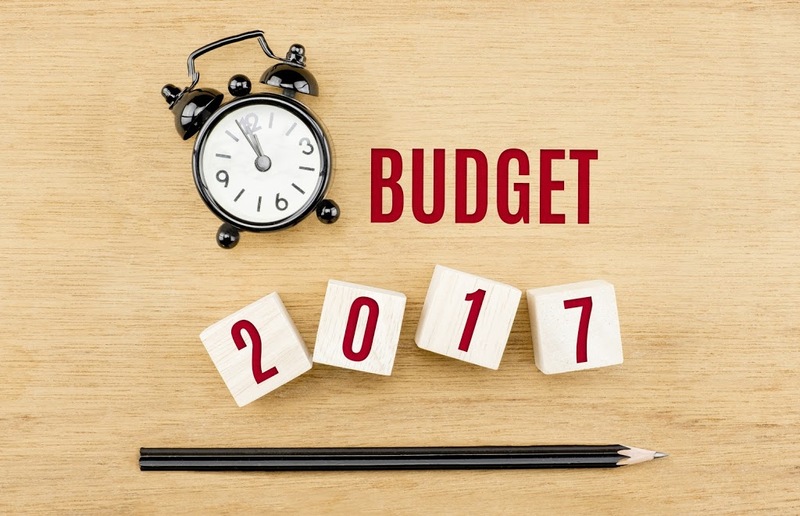 The Union Budget 2017 was focused on different issues such as Farming, Rural, Youth, Healthcare, Poor, Infrastructure, Financial Sector, Public Services, Tax Administrations etc. 1. A sum of Rs. 10 lakh crore is allocated as credit to farmers (with 60 days interest waiver). 3.A dedicated micro irrigation fund will be set up for NABARD with Rs. 5000 Crore initial corpus. 4.Government will set up mini labs in Krishi Vigyan Kendras for soil testing. 5.Irrigation corpus increased from Rs. 20,000 crore to Rs. 40,000 crore. 6. Dairy processing infra fund with corpus of Rs. 8,000 crore. 7. A model law on contract farming will be prepared and shared with the states. 1. Mission Antyodaya to bring 1 crore households of poverty by 2019. 2. MGNREGA: Rs.48,000 crore has been allocated. Participation of women now at 55%. Using space technology in a big way. 6. Propose to achieving 100% rural electrification by March 2018. 1.Introduction of a system of measuring annual learning outcomes and innovation fund for secondary education. 2.There will be a focus on 3,479 educationally-backward blocks. 3.Colleges will be identified based on accreditation. 4.Propose to leverage information technology with launch of SWAYAM platform for virtual learning. 5.100 Indian international skill centers to be established with courses in foreign languages. 6.Courses on foreign languages to be introduced. 1. Women: Mahila Shakthi Kendras – Rs. 500 crore allocated. 6. Elimination of tuberculosis (T.B.) by 2025 targeted. 7. Rs.1.5 lakh health sub centers to be transformed into health wellness center. 8. 3,500 km of railway lines to be commissioned this year up from 2,800 km last year. 14. Railways to partner with logistics players for front end and back end solutions for select commodities. 17. Rs. 64,000 crore allocation for highways. 1. FDI policy reforms – Now more than 90% of FDI inflows automated. 3. Financial firms Bill on resolution introduced in this session of parliament. 5. Foreign Investment Promotion Board abolished. 10. DBT to LPG consumers, Chandigarh is kerosene free, 84 govt schemes are on the DBT platform. 2. Political parties entitled to receive donations by cheque or digital mode from donors. 3. Amendment is being proposed to RBI Act to enable issuance of electoral bonds. 4. Donor can purchase these bonds from banks or post office via cheque or digital transactions. 1. India’s tax to GDP ratio is not favorable. 14. Capital gain tax exempted to person holding land from which was pooled for creation of state capital of Telangana. 15. Corporate tax: Propose to reduce tax 25% for small companies turnover up to Rs. 50 crore. 17. SIT on black money suggested no cash transactions of more than Rs 3 lakh. 18. Cash transaction above Rs 3 lakh not permitted. 1. Income Tax Rate reduced to 5% for income slab Rs. 2.5 to 5 lakh. 2. Simple one page return for people with annual income upto Rs. 5 lakh (other than business income). 3. People filing I-T returns for the first time will not come under govt scrutiny. 4. 10% surcharge on individual income above Rs. 50 lakh to Rs 1 crore. 15 % surcharge on individual income above Rs. 1 crore.